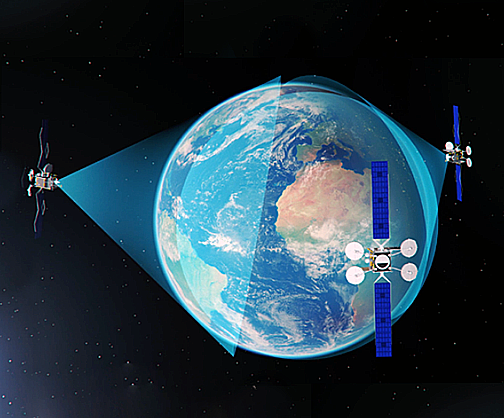 Artistic rendition of the Viasat broadband satellites on orbit. Photo of a ULA V 551 configured Atlas rocket launching a U.S. Navy MILSATCOM satellite. Photo is courtesy of ULA. Dave Ryan, the President of Space Systems at Viasat, said that ULA continues to demonstrate schedule certainty and flexibility, as well as be a trustworthy and reliable business partner. 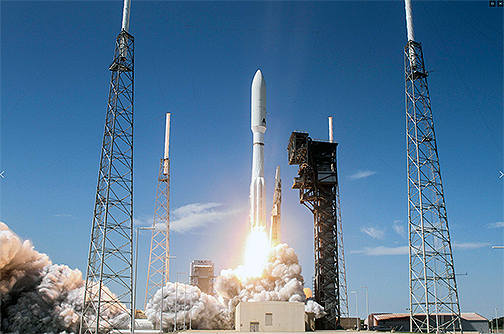 This coupled with unmatched Atlas V launch vehicle reliability and tailored mission design capabilities made ULA a strong partner for a ViaSat-3 launch mission. 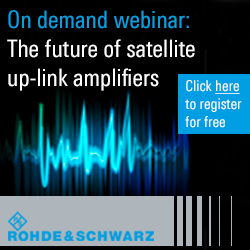 ULA is known for providing an innovative launch solution that is focused on mission success, which will allow ViaSat to meet the company's business objectives to bring high-speed, high-quality broadband connectivity to meet end-user demand. Tory Bruno, ULA’s President and CEO, added that ULA’s Atlas V launch vehicle is the most reliable launch vehicle in the world and the company is pleased that Viasathas recognized the value the Atlas V can offer and has decided to select this rocket to launch their commercial communications satellite.